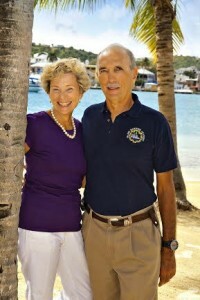 Joe and Julie San Martin (Team San Martin) introduced Buyer’s Brokerage to St. Croix and are buyer specialists. They have been industry leaders since assuming leadership of Julie’s mother’s brokerage in 1984. After purchasing the RE/MAX St Croix franchise in 1993, Joe consistently places among the top producers in the RE/MAX Caribbean region, earning him the RE/MAX Hall of Fame (2002) and Lifetime Achievement Award (2009). Team San Martin is led by Joe, the rainmaker. Julie administers contracts and systems with the help of her virtual assistants. In June 2008, Joe and Julie sold the franchise so that Julie could devote more of her time and energy to managing the Team. Joe is past President of the St. Croix Board of Realtors and served as Professional Standards Chairman at the Territorial level for 10 years. Julie served both the St. Croix Board and at the Territorial level as Treasurer. 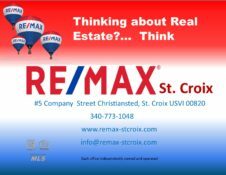 Over their more than 30 years as leading St Croix real estate brokers, Joe and Julie have successfully assisted thousands of satisfied St Croix buyers! Joe and Julie are the former owners of RE/MAX St. Croix.